Service Pro Painting & Improvements is a locally owned and operated painting company, that services the Greater Grand Rapids area. Our skilled employees can tackle any residential and commercial project, and are willing to take on the most challenging jobs. Since 2006, Dan and his team at Service Pro Painting & Improvements have had a simple goal - raise the industry standards. The Service Pro Painting & Improvements difference - spend more time listening to, and working closely with our customers. 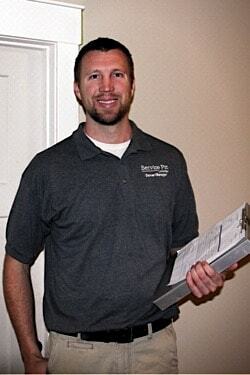 Our teams consist of well trained, experienced painters, and skilled trades people. Because we only work with the best people, Service Pro Painting & Improvements has hundreds of satisfied customers in the Grand Rapids area! Service Pro Painting & Improvements is also adding new services in the near future, but will always offer the same great service, quality, looking to keep building long lasting relationships. default_title100% Satisfaction – Taking the time to inspect all aspects of the job.